A renowned UK manufacturer with a solid 30-year track record, Aarow produce high quality wood burning and multifuel stoves that come in a range of beautiful designs. Alongside its sibling brands Stratford and Villager, the Aarow brand comes under the umbrella of the parent company Arcada Stoves. Make a real statement with these exquisite stoves in a choice of freestanding, inset and cassette options. Clean cut lines and big viewing windows bring out the beauty of the real flame, while offering top efficiency ratings. The focal point for rooms of any size, these stoves ooze character and charm with their traditional design, fitting in equally seamlessly in a cosy cottage or grand country home. Reliable, economical, sustainable are the watchwords for these superb boiler stoves that produce both heating and hot water. The perfect fusion of style and practicality has produced these compact multi fuel and wood boiler models as an alternative or complement to traditional central heating. All boiler stoves come with a free 7-year guarantee as standard. Aarow stoves feature a host of market leading technologies including heat convection, the renowned airwash system and the patented Flexifuel System to provide excellent all-round performance. Craftsmanship is everything at Aarow; there’s a lifetime guarantee on the body of each stove handcrafted in the purpose-built Devon factory. Wakefords are leading Aarow stockists in Surrey, and we always endeavour to have a good selection of stoves on display or in stock. Why not visit our showroom in Woking for a browse and speak to our experienced sales advisers about your particular home heating requirements? Our team has an in-depth knowledge of all Aarow stoves and boilers and are on hand to answer any questions you may have. If, for any reason, we don’t have the exact Aarow model on display or in stock, there’s no need to worry – we can source and order any Aarow stove for you with the minimum of delay. 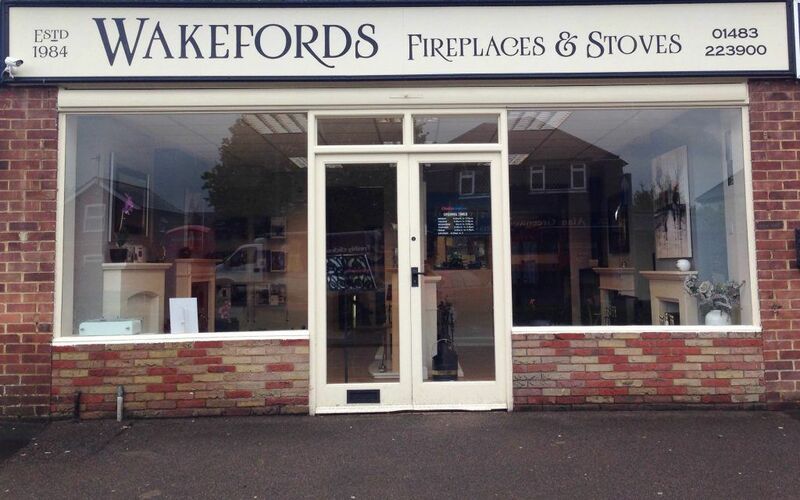 The Wakefords showroom is open Mondays to Fridays until 5pm and Saturdays until 3pm; we are closed on Sundays. For any queries regarding Aarow as a brand or any other information about fires, stoves and fireplace for your home in Surrey or anywhere in the South East, please give us a call on 01483 223900 or contact us here. We look forward to being of service to you.